MANILA, 16 November 2016: To prepare interested participants of the most-anticipated activity set to happen at the Lamudi Housing Fair on November 18 to 20, property portal Lamudi Philippines listed down some basic guidelines for the property auction. Led by partner banks RCBC Savings Bank and Philippine National Bank and My Saving Grace Realty & Development Corporation, the property auction will showcase hundreds of properties that can be taken home by the highest bidder. Ramil Alquileta, owner of MSGRDC, a brokerage that specializes in property auctions and foreclosed properties, shared important reminders for the public to be ready with the basic requirements when attending an auction. As with any other public events, aspiring bidders in a property auction need to bring all legal identifications that he or she can provide. Government-issued ID’s with signature and picture is a must. Prior to the start of the public auction, a bidder needs to present his or her name and a valid ID. Subsequently, a paddle to bid will only be given upon registration and deposit of show money. The required show money per property varies on the bidding amount that you wish to place. For Php1 million and below minimum bid price per property, a show money of Php10,000 is required while for Php1 million and above, a Php25,000 show money per property must be deposited. This can be in the form of cash or Manager’s Check. For winning bidders, the show money will be considered as a reservation fee and will be deducted to the total price that they will pay. On the other hand, unsuccessful bidders will get their show money back. For bidders who cannot be physically present during the auction proper, an authorized representative may stand on his or her behalf. The authorized representative on auction day must submit a Letter of Authority signed by both the Bidder and the Representative. For signature verification purposes, the Representative must likewise present photocopies of the Bidder’s valid government issued ID with a clear imprint of the Bidder’s signature. The bidding is presided over by a representative of the Selling Entity or owners of the properties subject for bidding. An auction officially starts when the selling entity announces the minimum bid on a particular property. The price will then progressively increase following the standard increment for others to challenge until such time that only the highest bidder remains. Upon the fall of the hammer, the selling entity will announce the paddle number of the winning bidder, likewise, the selling entity reserves the right to reject any or all bids for whatever reason it deem fit. After winning the bid, an Award Certificate will be given to the winner bearing the name, amount and description of the property. After the issuance of the Award Certificate but before execution of Contract to Sell, the selling entity shall conduct whatever investigation (i.e., court case checking, credit investigation, etc.) over the winning bidder. Should there be negative findings that the Winning Bidder did not disclose, the selling entity has the right to cancel the Award Certificate and forfeit any amount paid. Other documents such as Marriage of Certificate (if applicable) and valid Community Tax Certificate will also come in handy to fast track your papers in case you are the highest bidder. It will also be helpful if you can bring financial documents, such as Certificate of Employment and Income or pay slip issued in the last three months, Income Tax Return (ITR) and bank statements. In addition, Alquileta also recommended that studying the properties before participating in the actual bid is crucial and necessary, after all big financial decisions such as home-buying requires due diligence. 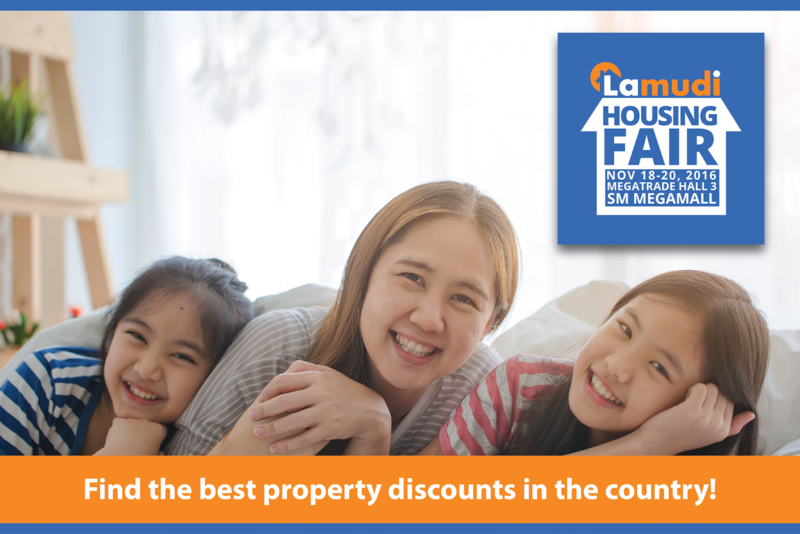 Lamudi Philippines and partner MSGRDC will showcase some of the 15,000 foreclosed properties that they manage and will offer it for auction to the public at the Lamudi Housing Fair on November 20. On the other hand, RCBC will conduct its property auction during the Housing Fair on November 18, while PNB on November 19. All auctions will start at 2 p.m.
Take advantage of the property auction only at the biggest housing event in the country this 2016. Apart from the auction, the Lamudi fair will also feature the widest selection of properties and offer exclusive discounts to homebuyers and property investors. Investment and homebuying seminars and virtual reality application in real estate can also be learned and enjoyed at the fair.